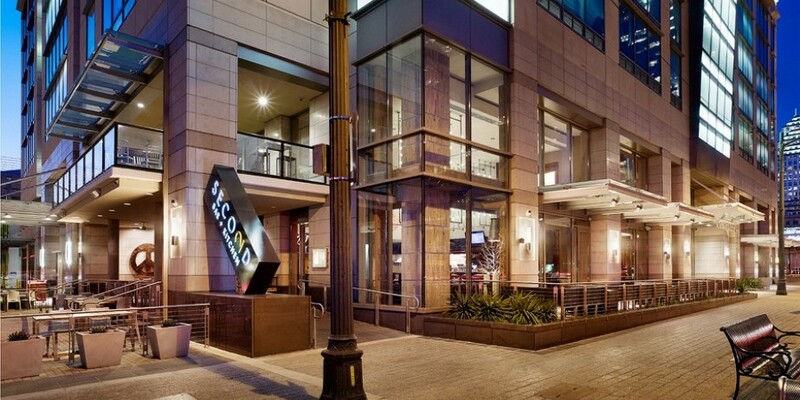 In addition to state-of-the-art service and amenities at The Austonian, some of the finest establishments in Austin are located on the building’s ground floor. From a morning coffee, to a night cap, these retail spaces serve as the gateway to the hip and happening 2ND Street District. Bar Congress is a sophisticated artisan cocktail lounge and premium wine bar featuring a vast array of superior spirits and exclusive wines available by the glass. Bar Congress maintains a strong commitment to classically executed craft cocktails, and many of their mixers are made with care in-house. Learn more about Bar Congress here. Second Bar + Kitchen is Congress’ more casual counterpart, offering open air and inside dining in a dynamic location on the corner of Second and Congress. Second Bar + Kitchen’s “Natural American” cuisine features high-end small and large plates, bar food, wine, classic cocktails and craft and eclectic beers. Learn more about Second Bar + Kitchen here. Caffé Medici is an Austin-based espresso and coffee house that offers specialty coffee, tea, beer, wine and light snacks. The glass-and-wood ensconced shop has an upstairs mezzanine level and an outdoor patio along Congress Avenue. 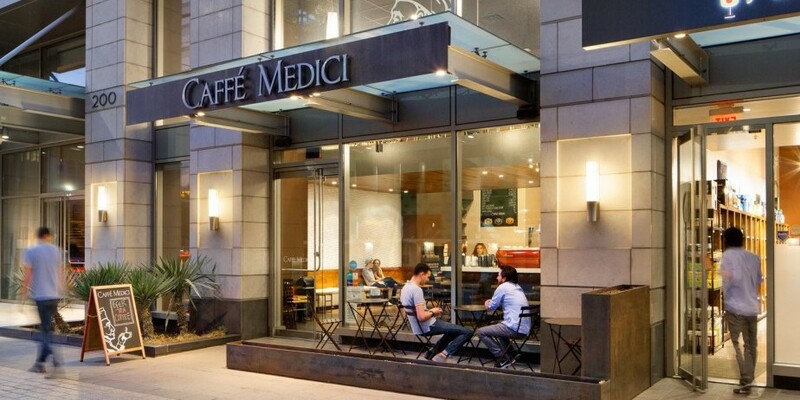 Learn more about Cafe Medici here. 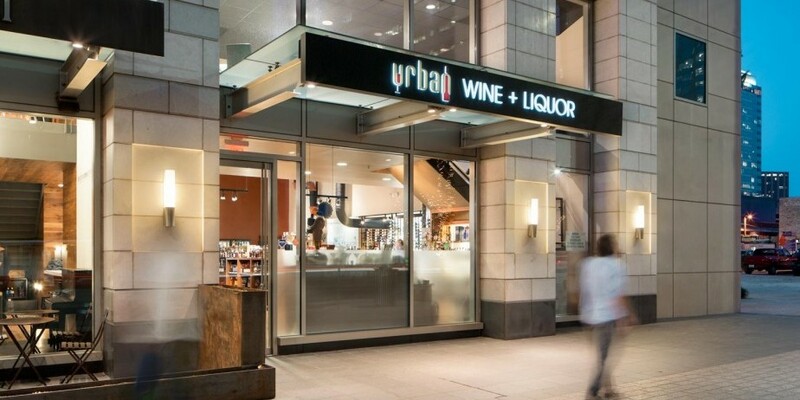 Urban Wine + Liquor has an expertly selected inventory of more than 1,000 wines and spirits. Owner Buckley Wineholt brings over 30 years of experience of working with wines, and his expertise is reflected in a selection ranging from small, locally-produced items to larger, well-known brands. 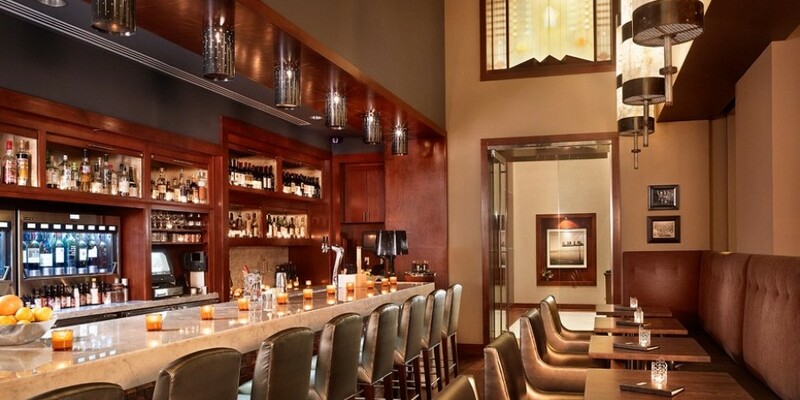 Urban Wine offers delivery to The Austonian and other downtown residents. The store regularly hosts tastings and events. Learn more about Urban Wine + Liquor here. 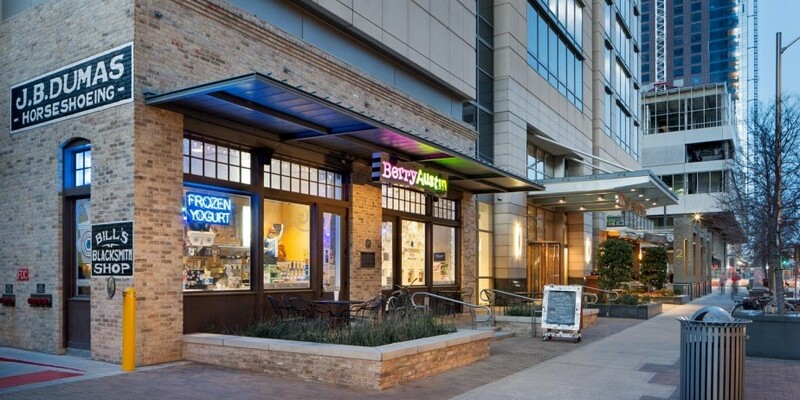 The restored façade of the historic Brown-Dumas Blacksmith shop on the ground floor of The Austonian is home to Berry Austin, a self-serve yogurt shop that offers low-and non-fat flavors of frozen yogurt along with toppings. The shop is pay-by-the-ounce, giving customers the opportunity to create a custom treat. Additional menu items include fresh yogurt parfaits, smoothies, floats and coffee. Learn more about Berry Austin here.